The Water Availability and Use Science Program (WAUSP) supports this goal through work to understand and quantify the inputs, outputs, and changes in the water budget. 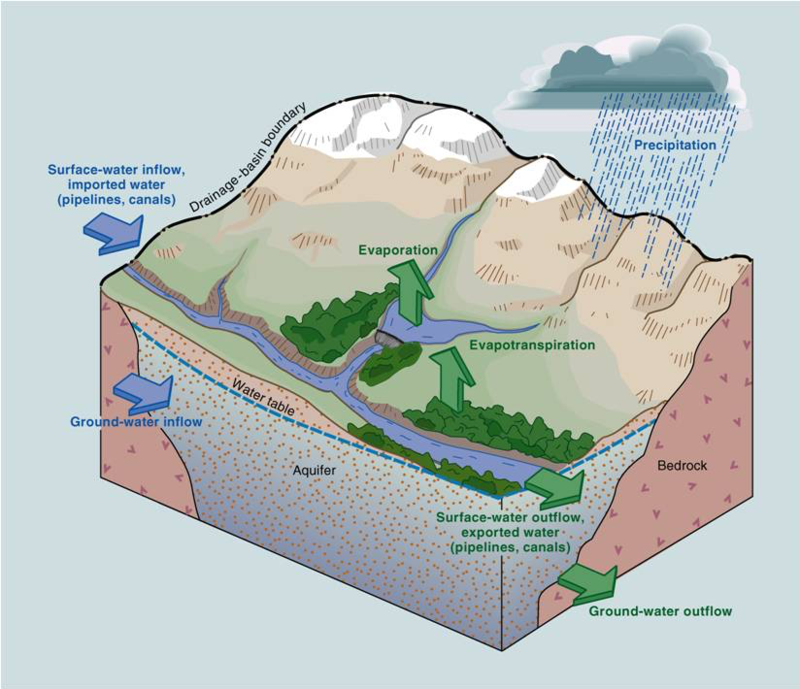 The primary building blocks of the water budget are base layers of precipitation, streamflow, evapotranspiration (ET), water use, and change in groundwater storage. Measurements or estimates of water budget components provide a means for decision makers to evaluate the water available for human and ecological needs as well as where stresses to the budget exist or may develop. Ideally, the WAUSP seeks to provide estimates of selected water budget components that are compiled via the National Water Census at consistent spatial and temporal scales. Through development of advanced techniques and new accounting methods for the NWC components, the WAUSP strives to provide resource managers with more accurate and finer scale information to support near-real time, local management decisions related to water availability and use.